Figure 57. Lead AAG at the Upper Rear Door Switch. Ballistic Shield Cable AAG Test Point. Ballistic Shield Cable AAF Test Point. 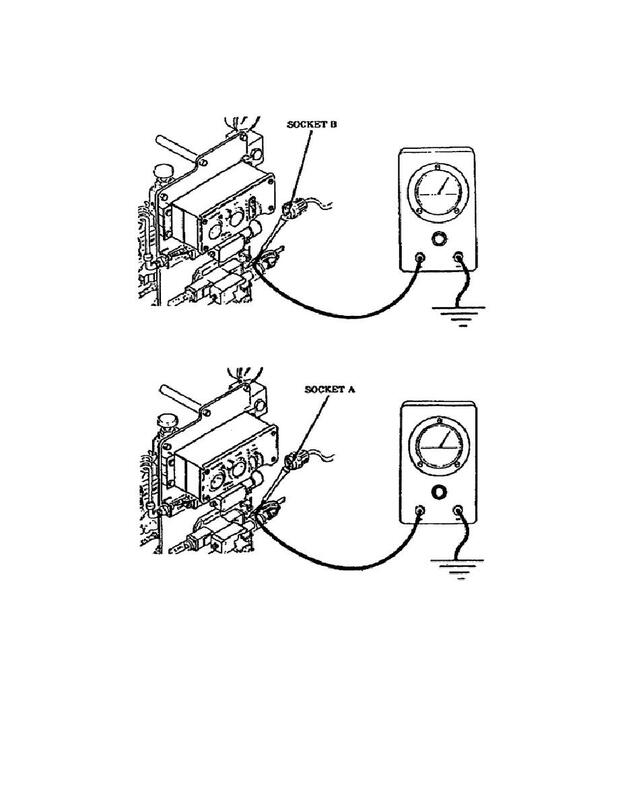 Test the "close" circuit, terminals C and B.
multimeter must indicate 22 ohms (Fig. 60).